Happy Thursday! Today I wanted to share with you a wedding makeover I did recently - it's all about neutrals and a polished look. My bride wanted to look like herself but better. Sometimes it an be challenging to pull of a more natural look - the key is to use enough makeup to enhance her features but not too much to where it's not natural. Take a look! Like I said, the bride wanted something fairly natural. It's similar to the "No Makeup" makeup look. 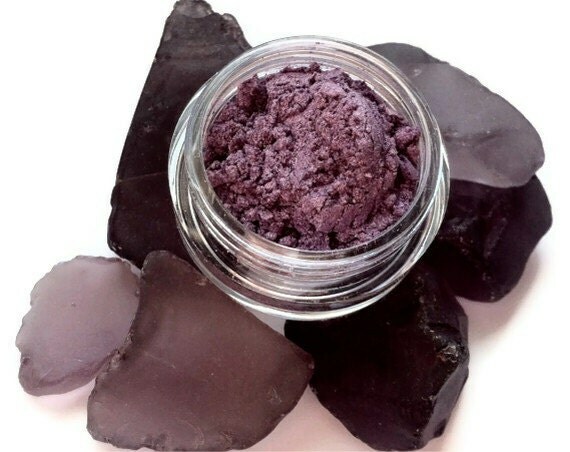 You're applying just as much product as a normal or dramtic look but the key is to choosing the right colors and blending appropriately. Starting off as a new artist, it was a lot harder for me to do natural looks; dramatic looks were easier to pull off since they easily transform the client and you can add more product to cover. 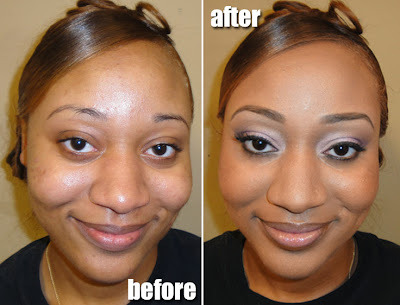 A lot of newbie artists trying to pull off a natural look make the mistake of not applying enough product - then it looks like a client isn't wearing enough and it doesn't appear to be a makeover from a professional. However, with practice getting a natural look is easy. Focus on perfecting and evening the skin, highlighting and contouring the eyes and face with neutral colors to give definition. This is something that you need to master because most everyday women clients prefer something that is wearable. We chose lighter shades in pink and purple to give color and fun, but still keep it daytime friendly. As you can see you can still contour the eye to give it shape but blend in light layers so it doesn't seem too harsh. Brows and lashes also go a long way to giving some definition without having to pack on a lot of color and product. 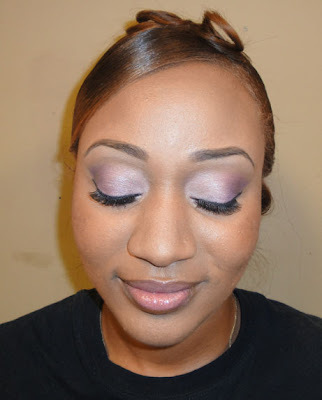 I also airbrushed the bride to giver her flawless coverage - for natural looks a focus on good skin goes a long way. 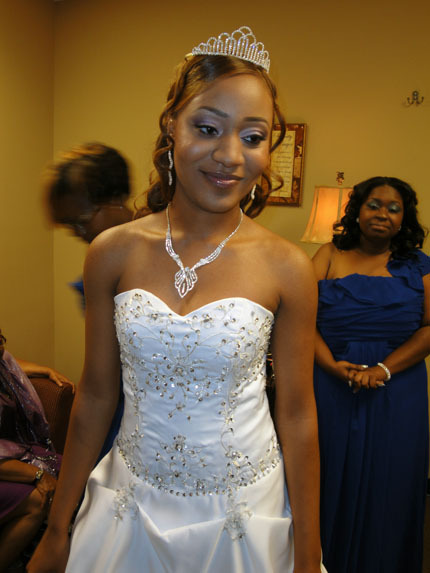 Here is the beautiful bride with her dress on. I didn't get too many after shots but you can see she looks fresh with just enough definition. Hope you enjoyed! I actually have a tutorial inspired by this look coming soon. Stay tuned for more before and afters! I love this soft look! Looking forward to the tutorial! Today, people are more conscious about their looks, day spas northern ireland their body and their health than they were ten years ago. This has prompted to change in lifestyles and quick acceptance of new methods and strategies that contribute to better health or beauty.